Shopping for your next vehicle can often feel like a difficult task when looking for used car dealers in Brookfield WI. When it comes to affordability, shopping for used cars in Brookfield can be even more challenging. If you have been struggling to find the right used car in Brookfield at an affordable price, all you need to do is come to Ewald Chevrolet Buick. Drivers from all around Wisconsin can have an easy time shopping for a used car near Brookfield. Here with Ewald Chevrolet Buick, your neighborhood Brookfield Chevrolet dealer, drivers from all around can easily find and browse through a broad range of amazing used cars near Brookfield WI. With a wide range of offers on our used cars near Brookfield, you are certain to find just the right one for you. We are proud to offer a wide variety of models and body styles to enjoy. Including used Chevy SUVs for sale near Brookfield Chevrolet dealers. It makes it easy to find the style of vehicle that works best for your needs. Ewald Chevrolet near Brookfield is certain to have all you need and more to get back out on the road. Our variety of Chevy SUVs for sale also allows you to find the perfect SUV within your price range. Ewald's Brookfield Chevrolet dealer is sure to be able to meet your needs when it comes to finding the right Chevy SUV for sale. So come in and take a look at some of our used Chevy SUVs for sale near Brookfield today. Such as a used Chevy Equinox for sale. Like the used 2016 Chevrolet Equinox LT for sale at your Chevrolet dealer near Brookfield. When you check out a used Chevy Equinox for sale, you will see why it is such a popular used Chevy SUV for sale. The Chevrolet Equinox will capture your heart for sure. The Equinox is sure to give you an enjoyable time while out on the open roads of Wisconsin. With a used Chevy Equinox for sale at our Chevrolet dealer near Brookfield, drivers just like you can experience an excellent range fuel capability. The 2.4-liter 4 cylinder engine provides an estimated fuel economy of 22 miles per gallon in the city. As well as 32 miles per gallon out on the highway. And what's more to love than a used Chevy SUV for sale with many comfort and convenience features in it. Such as Bluetooth, remote start, MyLink audio touchscreen, and more! 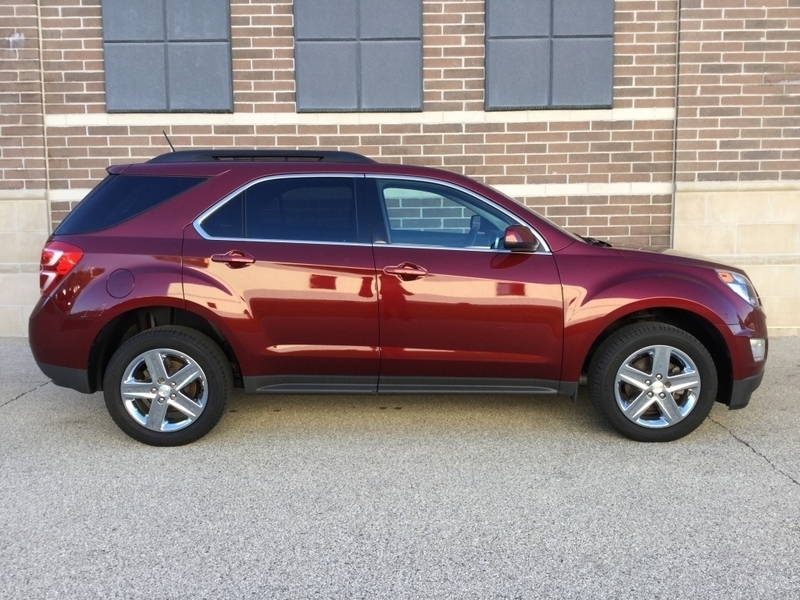 Discover all of the extra features on this used Chevy Equinox for sale. Come out and take it for a test drive down the streets of WI today. For a closer look at this used Chevrolet Equinox or another one of our incredible used Chevy SUVs for sale, stop by your Chevy dealer near Brookfield today. Ewald Chevrolet Buick is located at 36833 E Wisconsin Ave in Oconomowoc, WI 53066! Check out this used Chevy Equinox for sale today at our Ewald’s Brookfield Chevrolet dealer near you.